Lock in a great price for Villa La Massa – rated 9.4 by recent guests! This place is AMAZING. We spent a few days on our honeymoon here and did not want the business of the main city of Florence. This place was a perfect location to do both if you wanted to. The staff is friendly and accommodating. The facility is immaculate. The grounds are just beautiful. The food is excellent. You get what you pay for at this place. I will be waiting to make a return visit, maybe an anniversary trip in the future. Thank you Villa La Massa!! The room was generous in size and extremely comfortable. The staff were great. The pool and gardens were lovely. Fantastic breakfast. The architecture of the building, decoration, the historical touch with the chappel and of course the scenery. The staff has been wonderful with a special award to Paolo the restaurant manager. Fantastic location, amazing staff who couldn't have done more to be helpful. 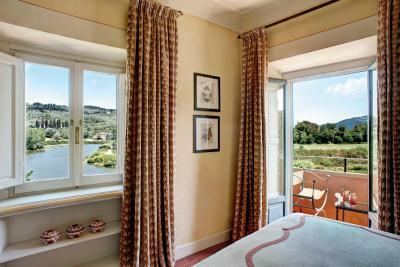 A beautifully peaceful property out of the way of the hustle and bustle of Florence. The staff were amazing and took time to chat about our day, help with tours and ideas for dinner and generally all so kind. They all clearly like working at La Massa as it felt as though we were visiting friends. My son left his beloved Teddy at the hotel and cried himself to sleep, the staff were so happy to help and found the rouge stuffed toy. Food was good also. Staff was super friendly, I want to thank Paolo and everyone for their amazing service. Beautiful old building with old fashioned excellent service. Wonderful helpful staff, a beautiful hotel, tasteful decoration, a tranquil restful visit. The staff were very attentive, helpful and friendly. The food was very much fine dining, the selection for breakfast amazing. Beautiful grounds and spectacular views. The rooms were very comfortable and spacious. Villa La Massa This rating is a reflection of how the property compares to the industry standard when it comes to price, facilities and services available. It's based on a self-evaluation by the property. Use this rating to help choose your stay! A luxury villa surrounded by green areas, Villa La Massa features a garden with swimming pool, a spa, and a restaurant with terrace overlooking River Arno. It is located 5 mi from Florence’s center. Decorated with warm colors and classic-style curtains and bed linen, rooms at Villa Massa feature carpeted floors and some also come with wood-beamed ceilings. Each room has free Wi-Fi access. At the restaurant you can enjoy a breakfast buffet and traditional dishes of Italian cuisine prepared with homegrown products. 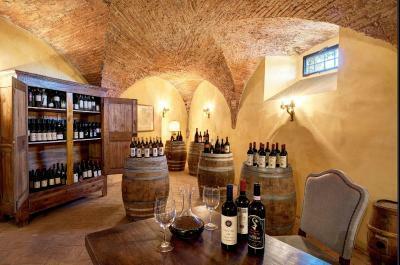 The chef organizes cooking courses, while in the wine cellare wine tastings can be organized. 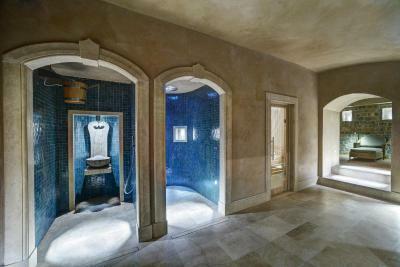 Guests can unwind at the property's Arno spa which includes a sauna, Turkish Bath, and a hot tub. 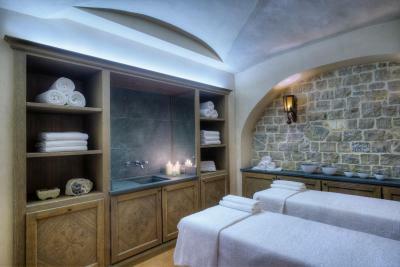 Massages and beauty treatments are also available. Outdoors, you can have a game on the tennis court or work out in the fitness center. Bikes can be rented for free and many outdoor activities can be organized. Offering free parking, this 5-star property is less than a 5-minute drive from Bagno a Ripoli. The A1 motorway exit is 4.3 mi away. There is a free shuttle to and from Florence city center. This property also has one of the top-rated locations in Bagno a Ripoli! Guests are happier about it compared to other properties in the area. 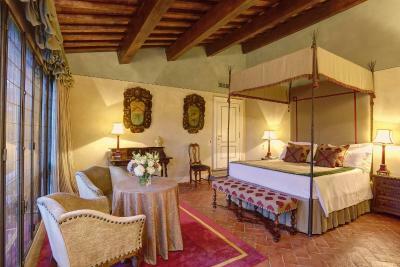 When would you like to stay at Villa La Massa? 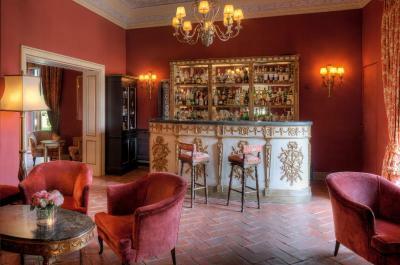 Featuring views overlooking the Chianti hills or on the Arno river, and free Wi-Fi, this air-conditioned room has Renaissance-style furnishings. 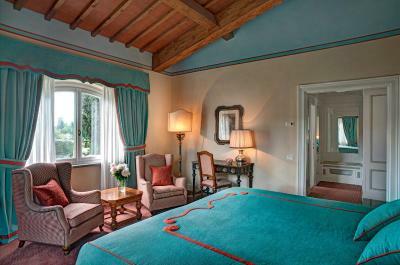 Featuring views overlooking the Chianti hills or on the Arno river, and free Wi-Fi, this suite has Renaissance-style furnishings. 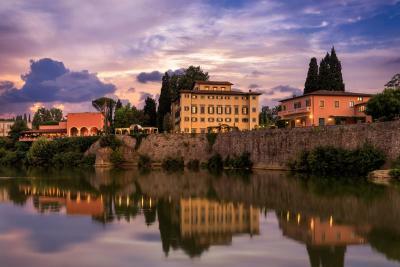 Featuring views overlooking the Chianti hills or on the Arno river, and free Wi-Fi, this large air-conditioned suite has Renaissance-style furnishings and a sitting area. 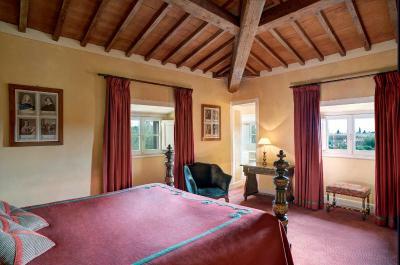 Featuring views overlooking the Chianti hills or on the Arno river, and free Wi-Fi, this air-conditioned suite has Renaissance-style furnishings. 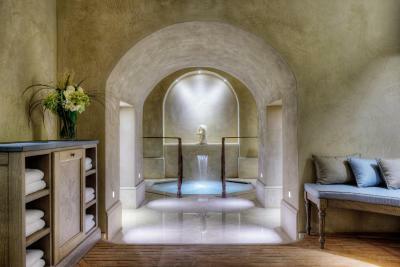 House Rules Villa La Massa takes special requests – add in the next step! Villa La Massa accepts these cards and reserves the right to temporarily hold an amount prior to arrival. please contact the property for more information on the shuttle service. The pool was supposed to be heated, however was quite cold, especially for the kids. The pool was also too deep for the kids to stand. The shower caused major flooding in the bathroom. The only thing would be the swimming pool location and surroundings. There were lots of gnats due to the location near the river. They were only bothersome in the evening.